We know what the candidates have to say, but where do our favorite celebrities stand on abortion? As it turns out, they don't agree any more than the candidates do. Still, some celebrities who have talked about abortion have voiced their opinions in powerful ways, no matter which side of the issue they fall on. 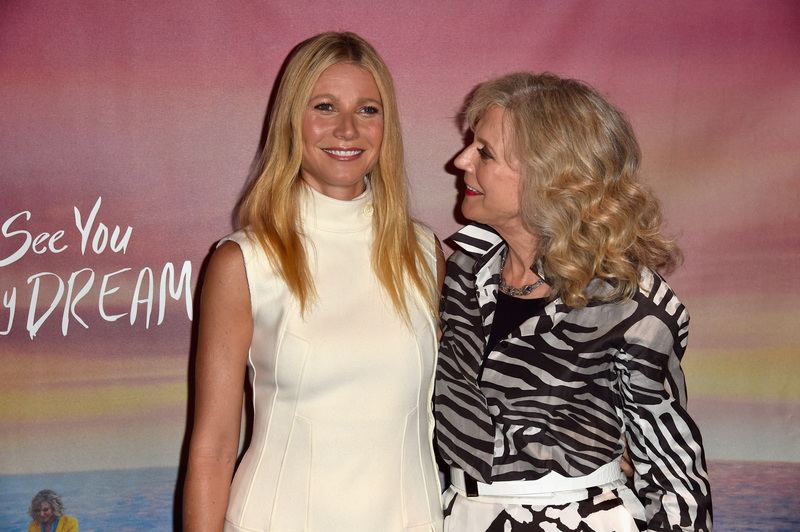 Gwyneth Paltrow and Blythe Danner are pro-choice. Tim Tebow is pro-life. Often, it's not what these celebrities believe but rather how they talk about it that matters. Not to mention, it matters just that they are indeed talking about it. Abortion is often associated with young, disadvantaged, would-be single mothers, but these celebrities' experiences prove abortion is an issue that affects women (and men) of all backgrounds and lifestyles. Whether they've chosen to have an abortion, chosen against it, or developed strong feelings about the issue for some other reason, these celebrities have the power to make a difference in a hot-button debate. In fact, bringing the issues at hand to a wider audience — an audience that may not otherwise consider itself interested in politics — could be the support the debate needs in order to spur lawmakers into action. See what these celebrities have to say. This mother-daughter duo wants each family to make its own decisions. Paltrow and Danner penned a pro-choice letter on behalf of Planned Parenthood, in which they wrote, "We cannot stand idly by as birth control, family planning, and basic health care come under attack." Later in the letter, they said, "Such a personal decision should be made by families, not by politicians." In describing their own experience, these pro-choice champions reinforce the idea that pro-choice does not equal pro-abortion. Kardashian, who famously has three young children with now ex-boyfriend Scott Disick, seems to be pro-choice, but cautiously so. She, like many others on this list, wants to see more discussion and more debate about the issue. "I definitely thought about it long and hard, about if I wanted to keep the baby or not," she told People magazine in 2009, just a few months before the birth of her first child Mason. "I do think every woman should have the right to do what they want, but I don't think it's talked through enough. I can't even tell you how many people just say, 'Oh, get an abortion.' Like it's not a big deal." If you know anything about football, this shouldn't surprise you. Tebow, the former Florida Gators star and NFL pro, has been vocal about his faith and his pro-life beliefs. His opinion stems largely from his own life experiences: His mother chose not to have an abortion while she was pregnant with him, even though she had a condition that made doctors fear for her safety. Tebow even starred in a highly controversial Super Bowl commercial about the issue in 2010. Even still, he knows that not everyone will agree with his conservative beliefs. "I know some people won't agree with it," he said in a press conference about the ad. "But I think they can at least respect that I stand up for what I believe." Handler likes to joke about things appropriate and inappropriate, but not when it comes to abortion. "I had an abortion when I was 16," she said in an interview with The New York Times in 2011. "Because that's what I should have done. Otherwise I would now have a 20-year-old kid. Anyway, those are things that people shouldn't be dishonest about." Ruffalo is no stranger to big issues. He has worked with and even started non-government organizations to address issues he's passionate about. In 2013, Ruffalo wrote a statement for a pro-choice rally in Mississippi, in which he talked about his mother's abortion that was forced upon her at a young age. "I actually trust the women I know," he wrote. "I trust them with their choices, I trust them with their bodies and I trust them with their children. I trust that they are decent enough and wise enough and worthy enough to carry the right of abortion and not be forced to criminally exercise that right at the risk of death or jail time." Ruffalo also said that he wants his daughters to be able to make their own choices as well. Fonda published an opinion piece on her website in 2009, in which she argued for a transfer of power (from men to women) when it comes to reproductive health decisions. "Reproduction and sexuality are keys to women's empowerment," she wrote. "When women are robbed of reproductive health and contraceptive decision-making, they loose [sic] an essential element of what it means to be a full human being." What these celebrities and others would agree on is the importance of talking about reproductive rights. Throughout recent years, they've interjected themselves in the debate in meaningful ways, whether to argue for the repeal of a law or to open up about a personal experience. Hopefully, their stories will inspire others to join the debate at a time when the politics behind it are heating rapidly.